Trekking to Mount Everest Base Camp: Move 4 Parkinsons. Back in 2014 I attended a talk in 53 Degrees North in Carrickmines about trekking to Everest Base Camp delivered by Ian Taylor of Ian Taylor Trekking. I attended just out of curiosity really and I suppose somewhere along the line I thought – maybe this is for me…..but I went home after the talk absolutely blown away by the thought of the trek and parked the idea for a few months until I went to a conference about goal setting………… and my goals were enormous!! !- we won’t even get into that. However, my short term plan was to run a Sub4 marathon and this is what I went away with and started developing my training schedule. So, this is February 2015 and training is well underway but unfortunately injury continued to hold me back and I began to get seriously frustrated. Because running was on the back burner for a while I had to keep up some semblance of fitness and so began walking in the hills around Dublin and Wicklow. I decided to complete my MS1 & MS2 (Mountain Skills 1&2 – a course for walkers and trekkers run by Mountaineering Ireland to assist participants become more proficient at map reading and orienteering skills). I decided to attempt the 12 peaks challenge in Kerry in June and climbed Carrauntoohill in August before heading off in September to do a leg of the Camino de Santiago, from St Jean de Pied de Port in the French Pyrenees to Burgos in Spain – and so life in the mountains became the norm. Anyway, I was a bit anxious about trekking over the Pyrenees so I felt – well, if I’ve a good level of fitness it has to make a difference. During this time my running injuries had healed so as well as walking I was regularly doing 5k and 10k runs around the streets of Wicklow. 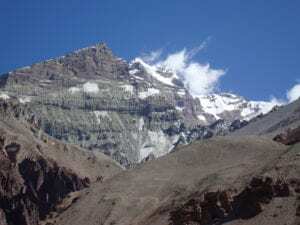 The challenge I had set myself of the Sub4 marathon had been shelved but having gone back once again to a talk with Iantaylortrekking after the Earthquake in Katmandu, the appeal of Everest Base Camp took hold. Maybe it’s that the Nepalese people need tourism – being one of the poorest countries in the world – or, having watched Ian’s video ‘Everest – A Summit Calling’ I just couldn’t get the idea out of my head. Then I thought – Ok! let this be my marathon……. and so when I sent on my deposit in November the training began in earnest for Everest Base Camp. From December I was running 5-7km every other day and walking the weekends and then in January put a schedule in place that meant walking 3 hours Monday, Wednesday and Friday, Running 5k Tuesday and Thursday and 1 hour gym work Tuesday and Thursday evenings. This continued until February and my walks increased to 4 hours Monday and Friday and 5 hour walk Wednesday and running Tuesday and Thursday. Now in March it’s 5 hours trekking Monday and Friday and 6 hours on Wednesday with 1 hour Gym work on Tuesday and Thursday. I feel the more I get out the better and more confident I feel about the trek. I always carry my rucksack so there was nothing new there but I did make alterations in the kit I carried. Ian’s support from day one is incredible and I read the dossier at least twice a week so that I feel I am mentally preparing having felt a little overwhelmed initially. Once I got out into the hills, the potential hazards and difficulties arise and for me it meant having to get new rain gear, changing the way I pack the rucksack, endeavoring to drink 2 litres out on the trails and another 2 litres before going to bed and resting properly and eating properly. Then……a colleague asked if I was doing the trek for charity. I suppose I hadn’t considered this, but the notion began to germinate until I decided that I would trek to support a charity very close to me – Move4Parkinson’s. I have set up a page on MYCHARITY and would welcome any support should you feel you would like to contribute. In the meantime, I’m out once more to the Wicklow Mountains. It might be Djouce, Lough Dan, Luggala, Knocknacloghoge, Carrig Wood, Lugduff or Camaderry, so if you see me or I see you in the great outdoors, do give us a wave!! !